Virginia is one of the most beautiful and fascinating states in the union. Its diversity, culture, history and scenery make it a great place to visit. I had the pleasure of living there for a year, and enjoyed visiting places like Old Town Alexandria, where George Washington stayed and ate occasionally. I saw Mt. Vernon, Washington’s home. I visited Richmond with its rich history. I even had the pleasure of visiting small towns like Warsaw, Virginia. It was a fantastic place to be. But there’s a divide in Virginia, not unlike other states. Northern Virginia and the rest of Virginia are as different as night and day. It’s just like California – SoCal and NorCal couldn’t be more different. Same with the Florida panhandle and the rest of the state. But Virginia’s divide is slightly more different in that five of the top ten richest counties in America are located in Northern Virginia (and another five of the top 15 are located in Maryland, making the area surrounding the nation’s capital the richest in the country). Northern Virginia is very liberal while the rest of the state is ruby red. Blame the expansion of government for the higher and higher population in Northern Virginia turning the state from red to light blue in only the last few years – but recently, the northern quadrant of the state controls the politics of the rest of the state. Imagine Austin being more heavily populated and controlling elections in Texas, or New Orleans being the deciding factor in Louisiana’s elections. Virginians live that reality every day-a high population of wealthy government workers controls what their state does. It all comes to a head today, as Virginians head to the polls to elect their new Governor. Their choices: former RNC Chairman Ed Gillespie and current Lt. Governor Ralph Northam. Virginia had a rich and unique political history. Usually, the party out of power in the White House is the party in power in Richmond – and that was usually the rule until 2013, when Democrat Terry McAuliffe was put into office after Barack Obama was re-elected. His liberal policies have led Virginia to the crossroads it now sees itself on. Northern Virginia has an estimated 3,000 gang members, with 70% of those belonging to MS-13. Just do a search for “Virginia MS-13” on google, and you’ll see an alarming number of murders in NoVa being attributed to the gang. Another problem that the next Governor will have to face is WMATA-The Beltway area public transportation system that operates Metro. The system has become infamous as of late for its derailments, catching on fire, and general decline in performance. Despite its recent “SafeTrack” program, and its now “Back2Good” idea, the system blew through $5 billion only recently. Democrats demand a dedicated tax structure to give WMATA more money to waste, while Republicans like Ed Gillespie and Larry Hogan of Maryland want more accountability before thinking about giving more money to the broken system. After all, the people who ride the system would have to pay twice – once at the fare-box, and once at the cash register. Perhaps the biggest issue in this election, however, has been racism, Charlottesville, and Confederate monuments. 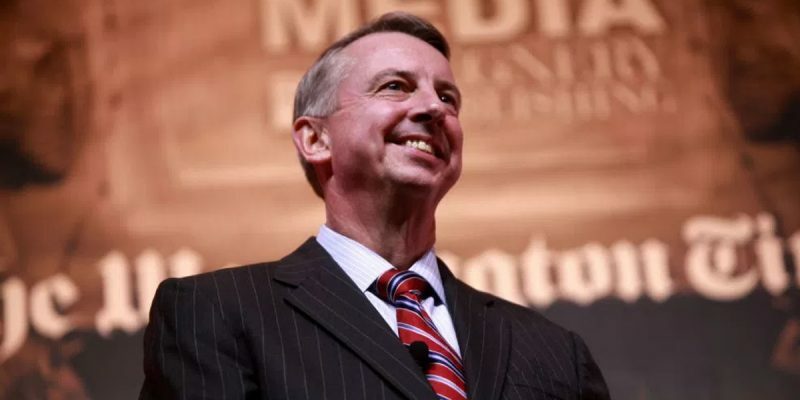 Despite supporting keeping Confederate monuments up, Gillespie faced a stiff challenge from Tea Party-favorite Corey Stewart (the same guy who called Gillespie “cuckservative,” echoing David Duke type sentiments), only defeating him in the primary by 5,000 votes, mainly because many felt Gillespie wasn’t strong enough on the issue. Whatever side you’re on concerning the monuments, you can’t deny how ridiculous it is (and how it was predicted by many) that now, even monuments to George Washington, a Virginia native, are coming down. Of course, Charlottesville has been a large focus of both candidates, but Ralph Northam and his campaign disgustingly used the events there to paint all Virginia Republicans with the same racist brush. The Latino Victory Fund ad that has received so much criticism from both sides was bad enough, portraying a Gillespie supporter as mowing down minority children with his truck, but even more sickening were Northam’s lies about the commercial. Northam initially refused to condemn the ad while claiming that he had nothing to do with it. However, it turns out Northam’s campaign approved the ad and coordinated with LVF to release it. LVF and Northam have still yet to condemn the ad. Virginia is a wonderful place. Liberal policies, however, have led it to a tipping point. The policies of McAuliffe have allowed gangs to flourish, WMATA to take advantage of its riders and the taxpayers, and to the division over Confederate monuments. Virginia has a choice today – continue down the path that will lead Virginia to become just like every other failed blue state by electing Ralph Northam, or make Ed Gillespie governor. Gillespie is an experienced, intelligent, mainstream, conservative Republican. One more point: polls don’t mean a thing in Virginia. In 2013, Ken Cuccinelli was expected to lose to McAuliffe by anywhere from 7-11 points. He came within 3. In 2014, the RCP average had incumbent Senator Mark Warner defeating Gillespie by 10 percent. He bested the now-GOP gubernatorial candidate by less than one point. Polls show this one to be a dead heat. Don’t quote me, but don’t be surprised if Gillespie puts up big numbers tonight. Next Article UPDATED: What’s The Source Of The PAC Ads Beating Up Rob Maness In The House District 77 Runoff?